Disposals are a means of generating a capital receipt, facilitating regeneration or redevelopment and the transfer of community assets. Therefore, the Council�s policy is to dispose of council owned land and buildings (�Property�) if certain circumstances and criteria are met. When deciding whether Property is suitable for disposal, officers will assess the Property against a set of criteria.� Initially it should be considered whether the Property should be retained for a strategic reason or for the delivery of Council services, now or potentially in the future, for example, by providing community facilities, supporting the Local Development Framework or facilitating regeneration or redevelopment. The loss of development potential and the loss of amenity value should also be considered. If it is decided that it is not appropriate to dispose of Property for these reasons, a clear record will be kept as to the reasons why the property is to be retained, together with a review date. Such considerations should include consultation with other Council services to see if they have a present or future requirement for the Property for the benefit of their service. Operational Property is held and used by the Council for the direct delivery of services for which it has either a statutory or discretionary responsibility. It should be assessed for disposal by way of its economic or useful life and whether the Property could be improved by refurbishment or better usage as an alternative to disposal. Investment Property held by the Council for revenue generation purposes should be assessed by its potential for improved rates of return by either better asset management, or disposal and re-investment of the receipt. On occasions, it might be beneficial to both the Council and the community, to dispose of a small or discrete area of open space. For example, this might be a strip of unused land which is currently open space, but is required to enable a development of a larger area of land; or it might be an area of open space which could benefit the community if the Council transferred it to a third party. In all such circumstances, the Council will have regard in its decision to the Council�s Parks and Open Spaces 10 Year Strategic Plan 2017 � 27, which itself ties in with other policies, such as the Local Plan and The Economic Development Strategy. If the Property is considered surplus and/or there is greater benefit in disposing of the Property, officers and/or members should consider the issues set out below. In all cases, consideration should be given to the timing of the disposal and whether market conditions are favourable at the current time or whether it would be more beneficial to retain the Property until market conditions improve. It must be confirmed that a disposal of the Property is legal and that there are no restrictive covenants preventing a disposal. There are also legislative requirements of Compulsory Purchase powers and Section 123 of the Local Government Act 1972 which will impact upon disposals. For example, if the Property is currently public open space, the Council must advertise its intention to dispose of the Property in a local newspaper for a period of 14 days and must take into account any representations it receives about the disposal before making a final decision to dispose. (Section 123 of the Local Government Act 1972). The disposal must also be made for the best consideration (i.e at full market rate). An exception to this requirement is where the disposal will contribute to the promotion or improvement of economic wellbeing; the improvement of social well-being; the promotion or improvement of environmental well-being and; the difference in the value of the land and the price for disposal does not exceed �2 million (General Disposal Consent Regulations 2003). 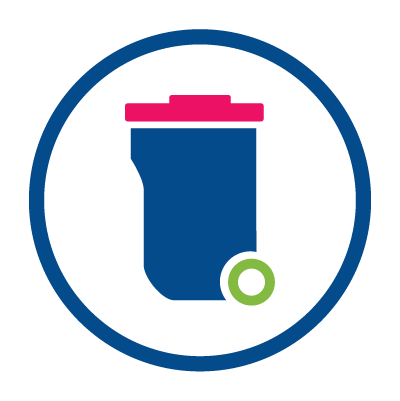 When, after applying the criteria set out in this Policy, it is decided that the best option for a property is to dispose of it, the Council will issue one of a number of methods for disposal. In most cases, the type of Property will determine the method of disposal. A freehold disposal is the sale of the whole ownership interest. The Property can be sold with or without future covenants to restrict or protect future use. The Council will use this method when a Property has been assessed as surplus to requirements, and has no future use or benefit. If the Property is to be developed by a third party, the Council will also dispose of the freehold. A leasehold disposal is the sale of an interest in the land for a number of years. The Council retains the freehold of the Property. The Council will use leasehold disposal if a Property is suitable for disposal, but there is a benefit to the Council in retaining freehold title, for example to ensure that the Council�s responsibilities in relation to the land are maintained in perpetuity. The Council will usually only dispose of Property to Parish Councils, community groups etc, by way of leasehold disposal. Any leasehold disposal, for any length of term, including short tenancies, would exclude security of tenure under the Landlord and Tenant Act 1954. This prevents the tenant from �holding over� and continuing in the tenancy at the end of the leasehold period and also enables the Council to terminate the tenancy at the end of the leasehold period. If the Property has development potential at some point in the future, the Council will consider disposing of the Property by way of a short term lease with break clauses so that the land can easily be recovered. In certain cases where the Council does not wish to dispose of its Property, it may be able to grant permanent grants of rights over land. This will generally be in cases where the Council wishes to retain the Property but can allow a third party to use the land without affecting the Council�s ability to dispose of the Property in the future. Non-permanent grants of rights might also be granted. These are similar to permanent grants but are time limited. S2 = Essential service, Property to be in good condition operationally. S3 = Essential service, Property to be reasonable condition to meet operational and statutory requirements. C � POOR - Exhibits various defects, each of which might not be significant in itself but need attention on a planned basis. � Running costs � which include utilities, insurance, business rates.